We recently completed our webinar on our IoT Analytics PaaS offering. Our CTO & Co-founder Dale Skeen and Senior Product Manager June Zheng described how the platform creates business value and conducted a demonstration of key capabilities. Dr. Dale Skeen is the CTO & Co-Founder of Vitria Technology where he is spearheading innovative advancements in analytics for the Internet of Things (IoT) via Vitria’s IoT Analytics Platform. Dr. Skeen is a pioneer in many of the enabling technologies of today’s computing landscape. His work includes innovations in several key domains, including publish/subscribe, scalable & distributed data architectures, streaming analytics, Complex Event Processing (CEP), and Business Process Management (BPM). He is an accomplished author, having contributed to numerous books and journal articles and has held faculty positions at the University of California, Berkeley and Cornell University. 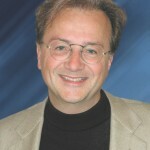 Dr. Skeen has a PhD in Computer Science from the University of California, Berkeley. 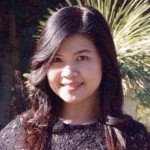 June Zheng is the Senior Product Manager at Vitria Technology, where she is responsible for overall IoT Analytics product development and roadmap. She is currently spearheading innovative advancements of analytics for the Internet of Things (IoT) and big data initiatives. June has more than 15 years of experience in Internet enterprise software across multiple industry verticals using different technologies to solve business problems. Her relentless drive to understand the customer, build high value products, and deliver on her promises has proven successful.